Cranes are very powerful machines used in construction industries. They are typically employed to lift, lower and move materials from one place to another. These heavy equipment possess a huge loading capacity ranging from one to hundreds of tons, even more. That’s why many industries such as civil engineering, maritime, equipment manufacturing, etc. always need cranes for heavy lifting operations. Certainly, crane machines are one of the most important heavy machines in construction projects. However, there are various categories of cranes available nowadays, which perform different works depending on the objective. Here are five types of cranes that everyone should know from today. A tower crane is the type of crane which is fixed to the ground on a strong concrete slab during construction projects. On any major building sites, you can hardly miss this equipment. With its tower, this type of crane often rises hundreds of meter into the air and can reach up to thousands high. The loading capacity is approximately 20 tons. 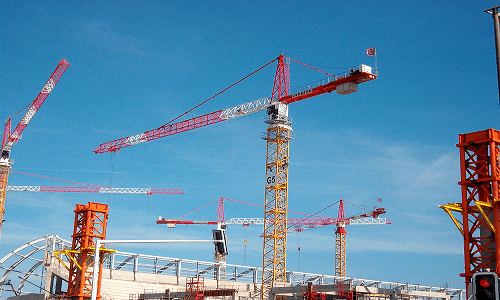 In today’s construction world, tower cranes are one of the most used crane machines. All terrain cranes are one of the most popular cranes for hire nowadays. They are able to travel at high speed on public roads without any issues. Mobile and versatile they are the standard cranes that exist in the construction industry. Additionally, they are easily maneuverable to lift heavy materials, compared to other types of cranes. All terrain cranes offer a maximum lifting capacity that can go up 1,000 tons with a boom length that can reach up to 100 meters. Also called high up truck, a truck mounted crane is the combination of a truck (pick up) and a crane. As its name implies, the crane is mounted on the back of the truck, specifically designed to load, offload and transport heavy materials including, vehicles, containers, and so on. 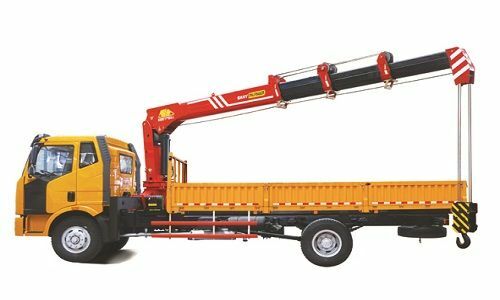 Also, the vehicle-mounted cranes or high up trucks are perfect for various other applications in construction works, electrical line maintenance, and more. Whereas most cranes on building site are static, truck mounted cranes are able to move from one site to another, with no need of transporting the crane with a special equipment. 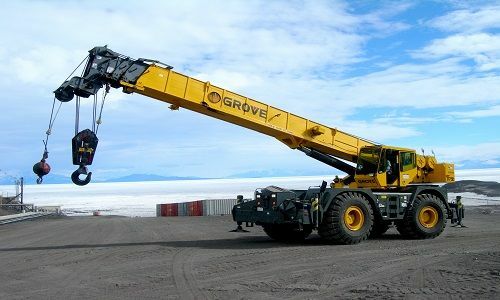 There are numerous truck mounted cranes for hire. They can load heavy items with capacities of 2.5 to 16 tons. And the boom can extend from 2 to 12 meters. 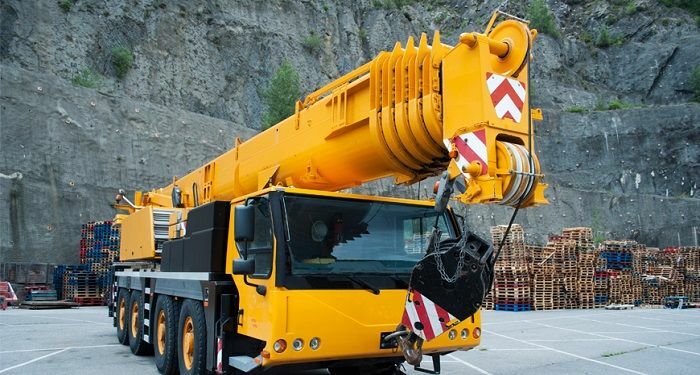 However, some vehicle mounted cranes can have a lifting capacity that can reach to 100 tons. Through its four rubber tires, able to go off the road with easiness, rough terrain cranes are one of the multi-purpose machines used in the construction industry. They have the ability to travel to unproven work sites and operate in narrow spaces. Actually, they are the perfect type of crane machines that can handle your most challenging lifting operations on difficult terrains. Typically a crawler crane is a mobile crane that uses crawler track to move which provide a strong stability under extreme conditions. Crawler cranes are ideal for heavy duty works in diverse industries including construction, manufacturing heavy equipment facilities, transportation and more. 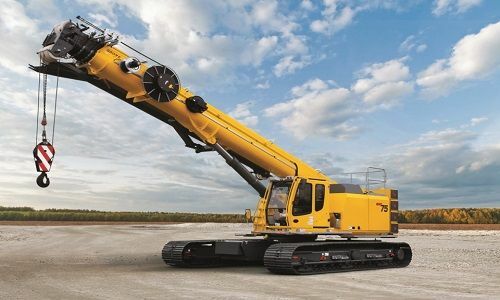 Because of its size and capacity, it’s quite costly to move a crawler crane from one site to another, like other types of cranes such as the truck-mounted cranes. 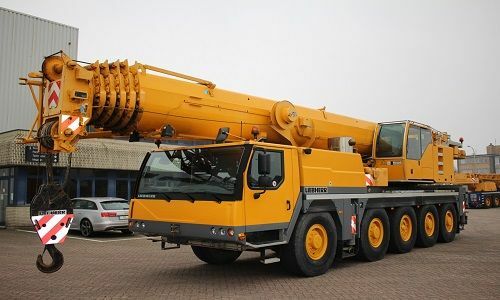 However, one of the greatest features of this crane is its boom length which is longer than most crane machines and its huge lifting capacity. These are the basics and most common types of cranes you should not ignore, whether you are a civil engineer or not. At Famio Services, we provide a wide range of cranes, available with multiple attachments for all your heavy lifting needs. Get in touch with us and we’ll be happy to assist you. we need to hire crane for the installation of silos conveyor approximately weight 2 tons and horizontal length 52 meters , height required 40 meters, and inclined boom length – 65 meters , can we get from you as a rent for few days.